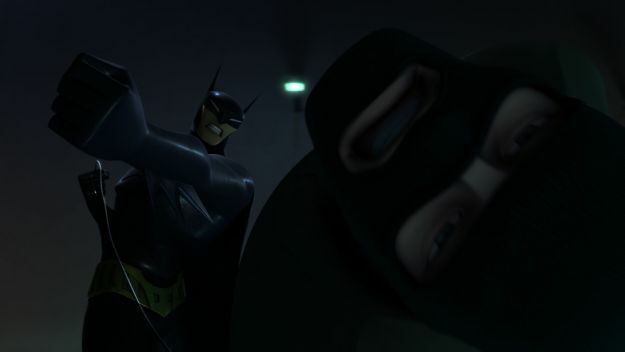 The long-teased animated series Beware The Batman will finally make its debut this July. Check out the full press release, trailer, and images below. A cool, new take on the classic Dark Knight franchise, Beware the Batman incorporates Batman’s core characters with a rogues gallery of new villains not previously seen in animated form. Along with backup from ex-secret agent Alfred and lethal swordswoman Katana, the Dark Knight faces the twisted machinations of Gotham City’s criminal underworld led by the likes of Anarky, Professor Pyg, Mister Toad and Magpie. Produced by Warner Bros. 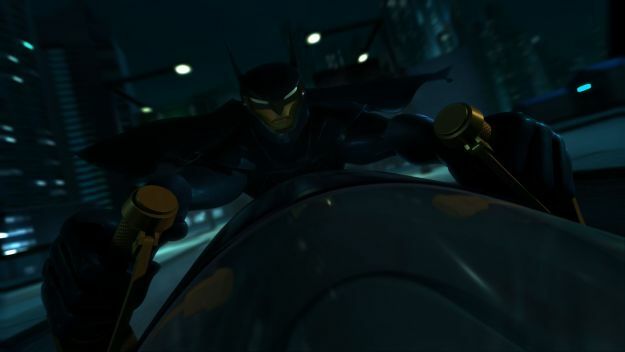 Animation (WBA), this action-packed detective thriller deftly redefines what we have come to know as a “Batman show.” WBA’s Sam Register serves as executive producer, with Glen Murakami (Batman Beyond) and Mitch Watson (Scooby-Doo! Mystery Inc.) producing. Starring Anthony Ruivivar (Banshee) as Batman/Bruce Wayne, Beware The Batman boasts a stellar voice cast with JB Blanc (The Count of Monte Cristo) as Alfred and Sumalee Montano (ER) as Katana. Lending voices to the villains are Wallace Langham (CSI: Crime Scene Investigation) as Anarky, Grey DeLisle (Green Lantern: The Animated Series) as Magpie, Udo Kier (Scooby-Doo! 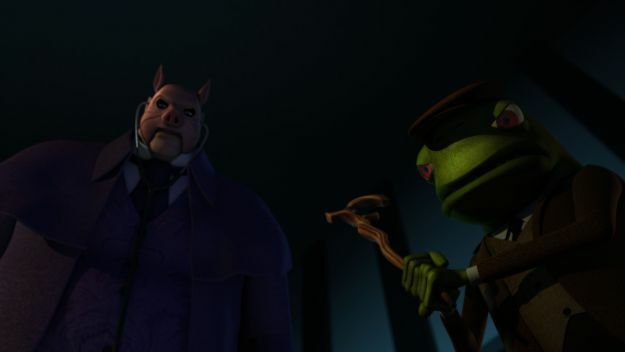 Mystery Inc.) as Mr. Toad, Lance Reddick (Fringe) as Ra’s al Ghul and Brian George (The Big Bang Theory) as Professor Pyg. Beware the Batman is the latest series based on characters from DC Comics to be added to DC Nation, Cartoon Network’s programming block on Saturday mornings. It will be followed by Teen Titans Go! at 10:30 a.m. and joined by all-new animated shorts.